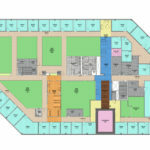 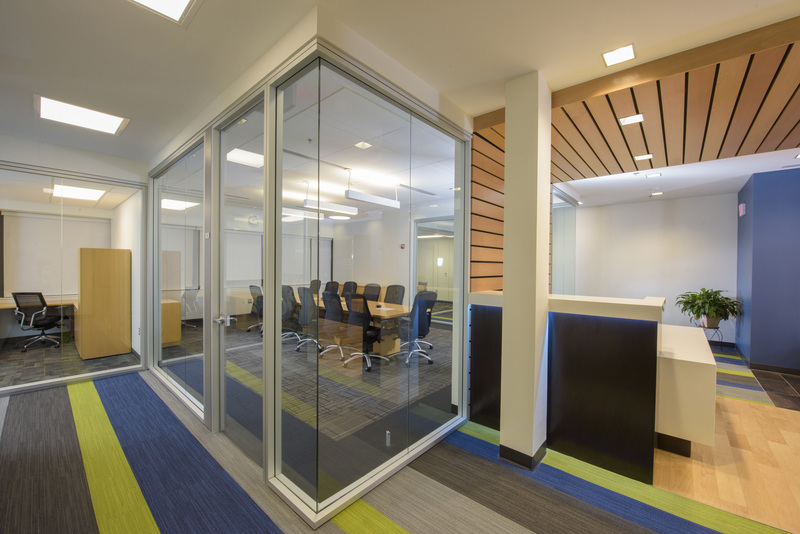 The design team partnered with EBA Engineering to design the renovations of the 40,000 SF corporate headquarters. 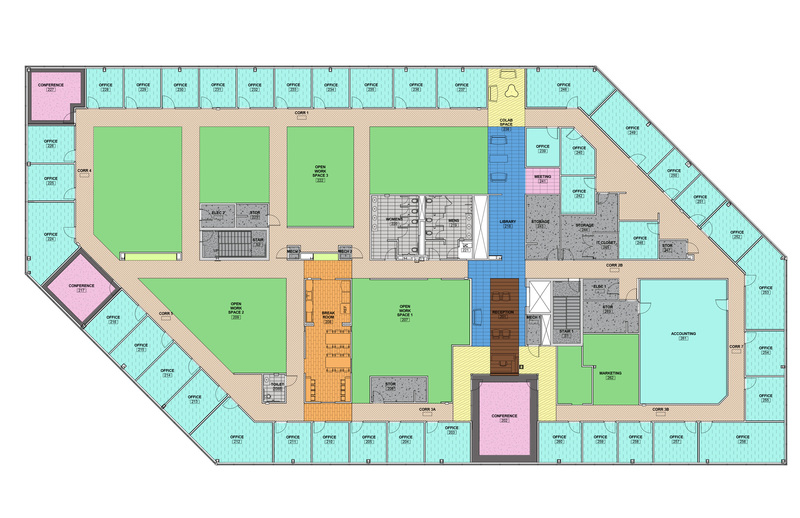 Originally built in the 1980’s, the major redesign of the interiors of the building will allow for EBA to consolidate their offices. 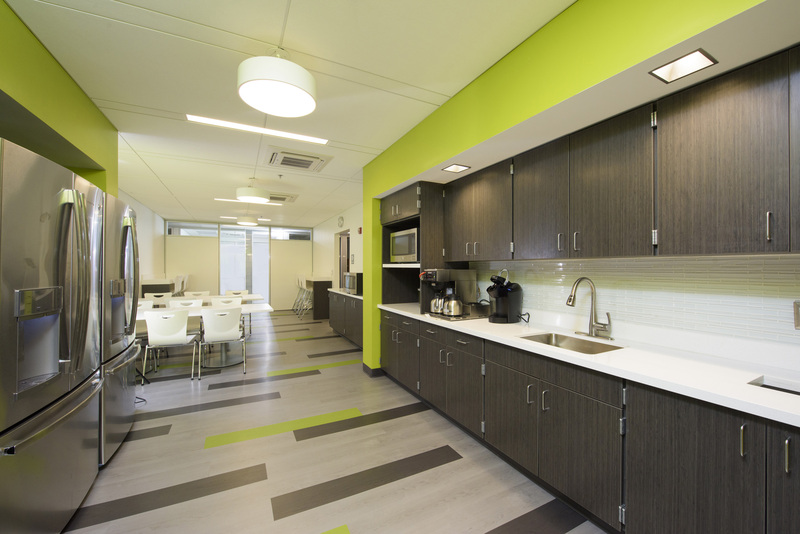 Great care was taken to research the company’s needs and values to carefully design the offices to enhance the image of the company. 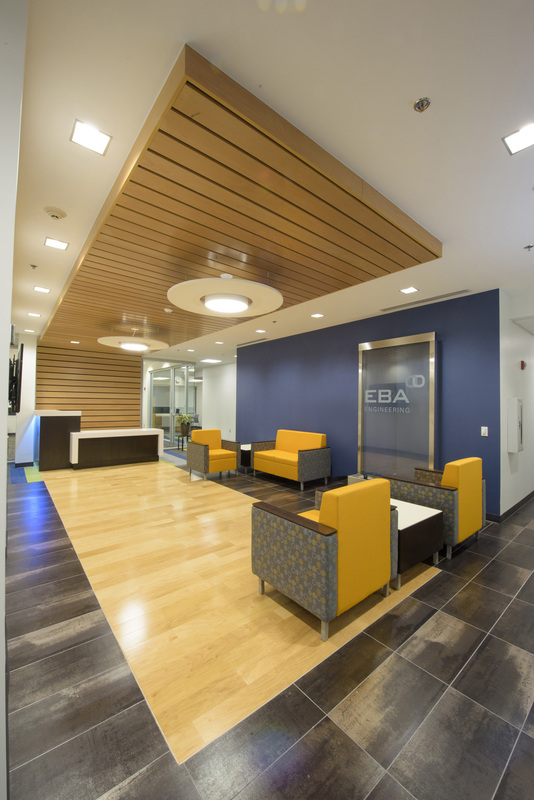 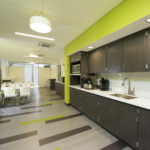 Modern furniture and finishes were selected in collaborative process with the clients; enabling a design with an open and modern office space that fully support EBA’s mission of delivering client-centric, result oriented consulting services. 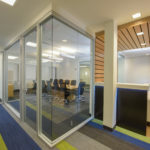 The office interiors was optimized for natural light by using glass walls, configured to encourage increased interaction among employees by creating informal meeting spaces, and used “branding aesthetics” by integrating EBA’s company colors. 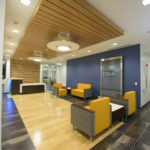 Awards: MERIT Award for Excellence in Construction, Associated Builders and Contractors, Inc.